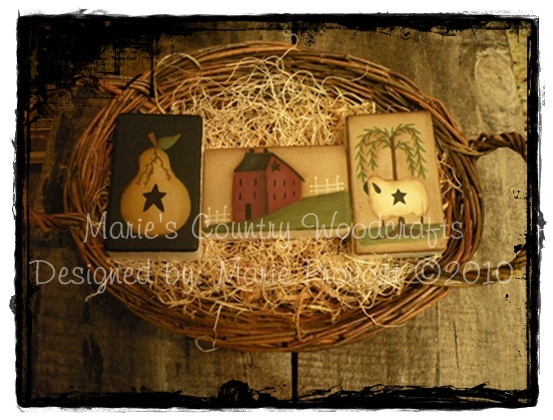 I designed and painted these bars of soap with a pear, a saltbox house and a sheep and willow tree. The soaps are sold individually and will come to you in plastic bag with a piece of homespun fabric. Basket and excelsior not included.